Dan Quinn, the former CEO of Rutland Mental Health Services, was pressured to resign because of poor management. His resignation comes on the heels of intensified state scrutiny. Quinn resigned Tuesday, June 9, after nearly eight years with the social service nonprofit, according to a statement from its board of directors. Officials cite a pattern of shortcomings in the care provided by the agency, which contributed to a client’s overdose, a client being sexually exploited and several others being placed in neglectful or abusive situations, according to documents obtained by VTDigger. Poor management may have also contributed to one client’s untimely death. 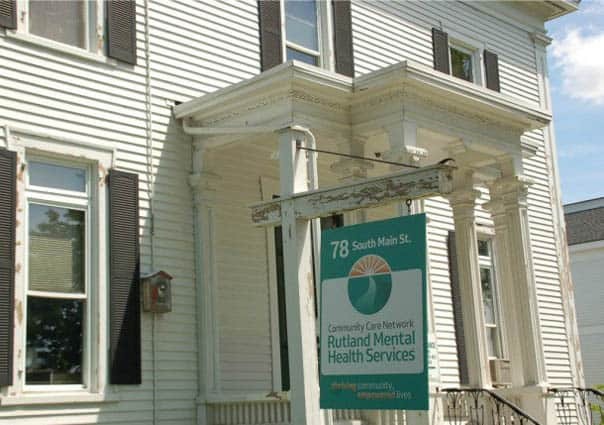 Rutland Mental Health oversees care provided to clients through third parties, and close to 130 caregivers across the state have contracts with RMH to provide residential care for many of its clients, according to the nonprofit. State oversight of those contractors typically begins when something goes wrong, and the agency is required to notify the state. Memos from the Agency of Human Services show officials are evaluating whether the agency should continue to receive state financial support. Longtime CFO Tom Pour and Clinical Services VP David Long are expected to step down in the near future. For the past six months, Rutland Mental Health Services has faced the possibility of losing its status as a designated agency, while it works with the state to improve practices and management. Designated agencies are nonprofits that get exclusive state contracts to provide mental health, developmental disability and substance use services for a specified region. Eleven designated agencies in Vermont receive more than $300 million annually from the state. Ninety-nine percent of Rutland Mental Health’s funding comes from taxpayers, either through grants or Medicaid payments, according to a consultant report. In fiscal year 2013, the agency received $28.3 million from the state. It serves more than 3,000 people and has roughly 400 employees. Documents going back almost two years show a pattern of clients being neglected or placed in unsafe situations, and interviews reveal that Quinn did not communicate those problems to local lawmakers or the Rutland Mental Health board until state officials brought their concerns directly to the board. Stakeholder committees made up of clients, family and experts are appointed to review designated agency programs. The committees are expected to make a recommendation on Rutland Mental Health’s future at the end of the month. The committees could recommend the revocation of the agency’s designated status or place it on a “provisional,” or essentially probationary, status as it works to improve its deficiencies. The standing committee review is part of a redesignation process agencies must go through every four years. The state has final say on designation. Hal Cohen, the secretary of the Agency of Human Services, wouldn’t rule out the possibility of Rutland Mental Health Services losing its status. Such a move would be unprecedented. The state is loath to revoke a designation because of the potential fallout for the communities they serve. State officials were not aware of an agency losing designation since the program was started. Rutland Mental Health has been part of the community for decades, and there’s little doubt losing its designation would be a crisis for the region. State investigations, usually triggered by complaints, can also lead to an agency being found out of compliance with its grant agreement. That happened to Rutland Mental Health last December, but temporary extensions have kept the money coming. The latest agreement ensures funding through the end of the month. Quinn, who resigned last week, could not be reached for comment despite multiple efforts to reach him. Courcelle would not permit anyone from his organization to be interviewed. Tom Depoy, a RMH board member, did give VTDigger insights, however. He cited the fact that recently both the Medicaid rates for services and the grants made through global commitment are under increasing scrutiny from lawmakers writing tough budgets and within the Agency of Human Services, which is trying to better track the efficacy of its spending. AHS accounts for more than 40 percent of all state spending. Despite those challenges, Depoy said he’s optimistic about the future at RMH. With new leadership and the state offering its help, he hopes the agency can improve. “Staff confidence is up, they’re reinvigorated. It was time for a change and that change is happening. All we can do is hope for our clients that it’s a change for the better,” Depoy said.